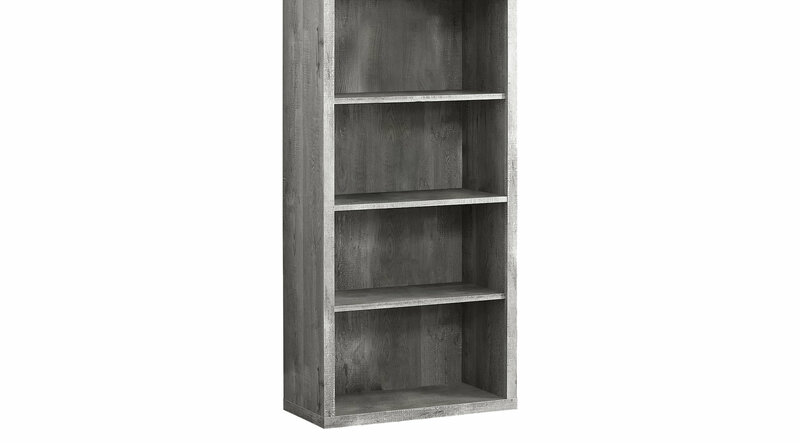 The trendy and industrial look of this chic Laureston 48" bookcase finished in a gray wood grain look is the perfect combination of design and function. With clean lines and thick panels, this bookcase will keep you organized in style. Featuring three adjustable shelves to accommodate various sized books and decorative objects, this bookcase can stand alone or be paired with the matching desk and mobile stand for your home office, bedroom, family room, or living room.